Drawn from Nature & on Stone will be the first ever comprehensive exhibition focusing on nineteenth-century American artist Fitz Henry Lane (1804–1865) as a printmaker. Georgia Barnhill, Andrew W. Mellon Curator of Graphic Arts Emeritus at the American Antiquarian Society in Worcester, MA, is serving as guest curator, and worked closely with the Cape Ann Museum in organizing this special show. The exhibition, exhibition catalog and related programming are being organized in connection with Fitz Henry Lane Online, a catalogue raisonné and resource tool created by the Cape Ann Museum. Fitz Henry Lane has long been recognized as one of America’s most important marine painters of the mid-19th century; in addition to those paintings preserved in the collection of the Cape Ann Museum — the single largest collection of Lane’s works in the world — examples of his oils are featured in major art museums across the country. Lane’s success as a printmaker, however, and his life-long fascination with the medium is something that is not widely recognized. With this exhibition, the Museum will investigate this important part of Lane’s career, exploring the intersection of his work in oil and in print and his success at creating illustrations for sheet music, business cards and stationery, advertising materials and book illustrations. 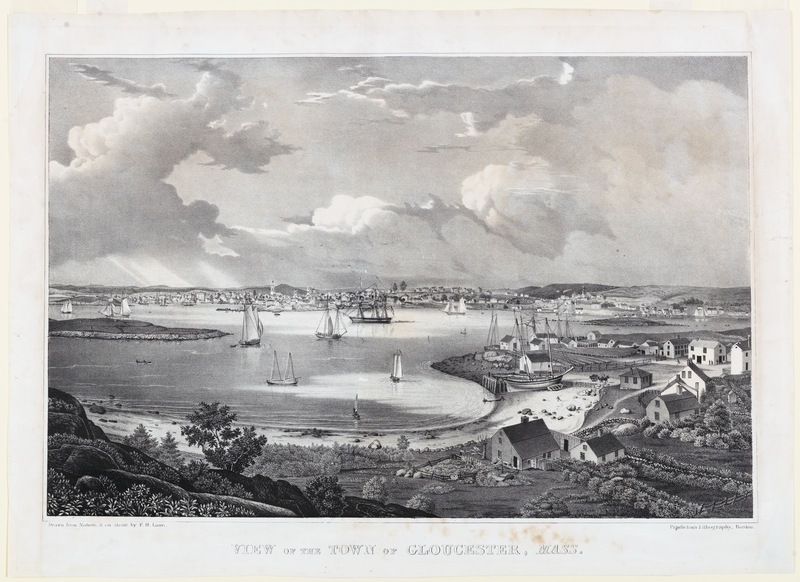 The exhibition will also spotlight a series of views Lane created of towns and cities throughout the region including Gloucester; Boston; Norwich, Connecticut; Castine, Maine; and Baltimore. In total, Lane is thought to have had a hand in the production of approximately 65 lithographs and perhaps more. Drawn from Nature & on Stone will feature lithographs from the Cape Ann Museum’s own holdings and from collections throughout the region including the American Antiquarian Society, the Boston Athenaeum, the New York Public Library and the Library of Congress. The exhibition will offer scholars and lay people alike the opportunity to explore the intersection of Lane’s work as a printmaker and a painter, to learn more about the art of lithography and to consider the enduring effects printing has on American culture from the early nineteenth century through today. Programming related to Drawn from Nature & on Stone will explore Fitz Henry Lane’s life and career in detail and against the backdrop of nineteenth-century printmaking culture in America. A symposium will be held on Saturday, October 28 at which six scholars working in fields related to printmaking will present their research to the public. Their presentations will explore such diverse topics as how race and race relations were portrayed in printing in the period following the issuance of the Emancipation Proclamation in January 1863; the role women artists and artisans played in printmaking during the nineteenth century; and how the rise of industrialization in towns such as Lowell and Lawrence, Massachusetts, affected the careers of Fitz Henry Lane and other printers. The symposium will be held in the Cape Ann Museum’s auditorium and will be a day-long event. Dr. John Wilmerding, retired curator, deputy director, trustee and chairman of the National Gallery of Art and one of this nation’s leading scholars in American art, will be an honored guest for the gathering. Citation: "F.H. Lane's First Complete Lithography Exhibition at the Cape Ann Museum." Fitz Henry Lane Online. Cape Ann Museum. http://fitzhenrylaneonline.org/page/news.php?id=6 (accessed April 18, 2019).